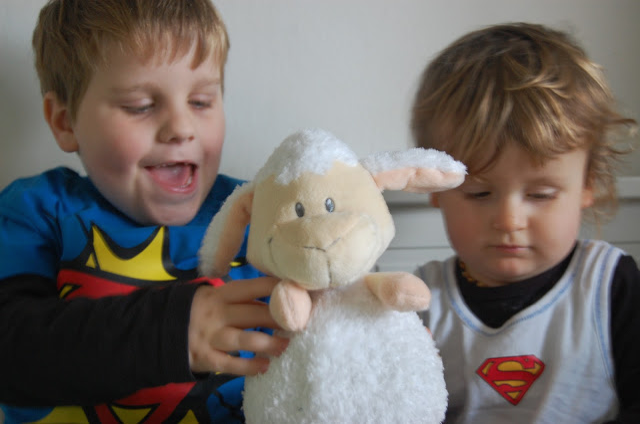 Gifts from the Pirates: "In order to be an immaculate member of a flock of sheep, one must above all be a sheep oneself." Opeie is a book fiend, he is constantly handing us books throughout the day and we usually read him between 10-20 a day. He does have favourites which i think i will write a post about soon but today I'm going to write about just one. Mrs M is a big fan of sheep and a couple of years ago i brought her 'Beautiful Sheep: Portraits of champion breeds' by Kathryn Dun. 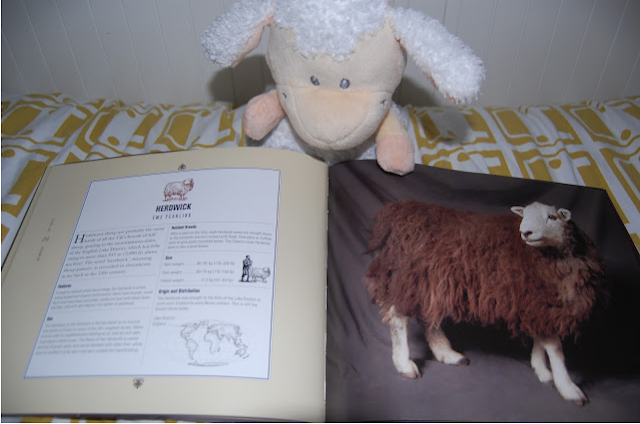 Today Opeie spotted it on the shelf and wanted to look at the pretty sheep. 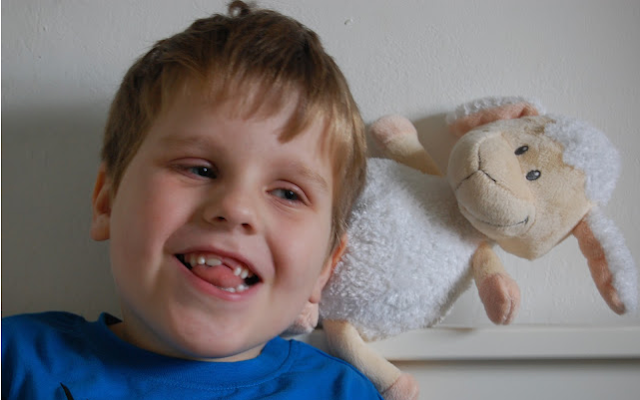 But before he could relax he had to go and find his cuddly sheep that sings old mcdonald from Nuby, well it would have been rude not to include him in the viewing. Seth has really started enjoying reading to Opeie, which is great because it gives Seth even more chance to practice his reading and it's so cute how they sit together and read. I really hope that they are always like that. If you are looking for a book of sheep posing then this is the book for you, learn all about their backgrounds and vital statistics (i can't even take myself seriously writing that... its a book about sheep!!!). 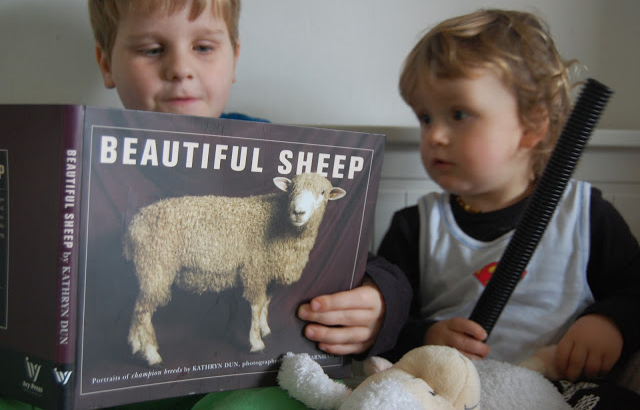 In case you were all wondering (I'm sure it didn't even cross your mind) yes they do have a favourite its the Southdown ram shearling and the book very rightly describes it as a 'very compact sheep...'. With an intro like that how could you not carry on reading. Ha ha, love the book of sheep!